Auroch Minerals’ latest deep drill hole in the “land of the giants” in Portugal has returned some encouraging signs as it approaches its target depth. The aggressive junior explorer reported on Monday that its third drill hole at the Alcoutim project in Portugal was at 689 metres and had hit possibly tell tale sulphidic sediments in the Volcanic Sedimentary Complex or “VSC”. The VSC is the host rock for the 80 or so base metal deposits of the region’s famed Iberian Pyrite Belt, which is sometimes referred to in the mining industry as the land of the giants. The region includes three “supergiant” deposits, including the high-grade copper-zinc Neves Corvo deposit just 20 kilometres along strike. The sulphidic sediments in Alcoutim’s latest drill hole also show strong deformational features, which is characteristic of Neves Corvo and other major volcanogenic metal sulphide deposits in the region. Hole 3 is collared close to Billiton’s historic hole, which was abandoned due to rig limitations. The hole was in sulphide-rich black shales, which are interpreted to be the strike extension of the host rock mineralisation at Neves Corvo. Logging from Auroch’s new hole is a close match with Billiton’s hole and confirms the VSC is becoming shallower towards the northeast. 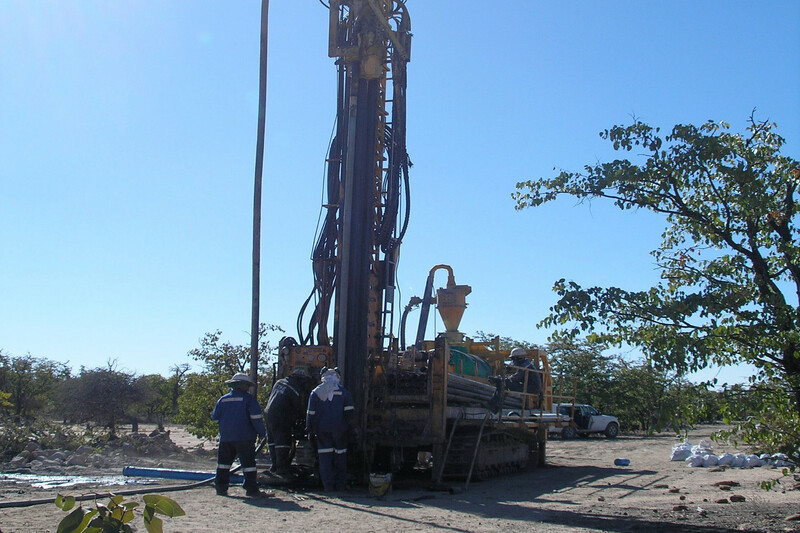 Auroch are drilling several deep holes to earn a 75% stake in the Alcoutim project. The company has identified a total of 22 potential VMS targets by using the latest techniques to integrate geology and geophysics throughout the large Alcoutim license area. Auroch are well funded to go hunting for base metal giants in Portugal, with cash and receivables totaling $7.1 million on hand. They are also set to begin drilling this month at an historic copper mine in the Czech republic where samples have already confirmed significant potential for Cobalt.